According to data from the Department of Health (DoH) and the Philippine National AIDS Council (PNAC), the Philippines has one of the fastest-growing HIV epidemics in the world. Human Immunodeficiency Virus 1 (HIV) is a virus that strikes the immune system, our body’s natural defense against illness. It’s still a major health challenge in emerging countries due to lack of infrastructure and proficient medical experts. The procedures for monitoring HIV are expensive, hence, Hadi Shafiee, a principal investigator in the Division of Engineering in Medicine and Renal Division of Medicine at the Brigham and his team wanted an inexpensive yet effective tool for HIV tests. Brigham and Women's Hospital has found a solution that has the capability to identify HIV viruses and monitor its management in resource-limited regions. 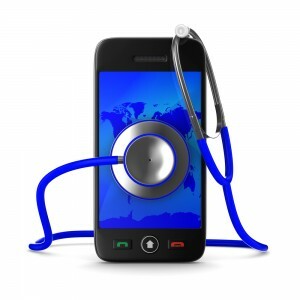 The device can detect HIV with the use of mobile phones and nanotechnology. The test results can then be viewed using the related mobile application without the use of any additional bulky equipment, thus, making HIV tests much easier to perform. Researchers believe that medical experts could use the device without difficulty in developing countries when they travel to execute HIV examination. Since the device is capable of performing quick examination, it would lessen the number of trips to medical facilities. Medical experts can also provide early and efficient diagnoses, to lessen the risk of virus transmission or treatment failure, making the device much more reliable.